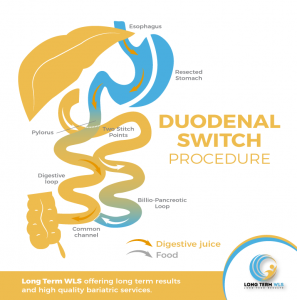 The “Duodenal Switch” is a mixed technique of bariatric surgery for treatment of morbid obesity related diseases. The gastric sleeve provides the limiting component; reduces the size of the stomach and thus the amount of food the patient can consume, while the bypass contributes in the malabsorptive component, reduces the effective length of intestine and therefore, the absorption of nutrients. The limiting component consists of a stomach reduction in the pylorus (valve regulating stomach emptying) is preserved. Moreover, the malabsorptive (biliopancreatic bypass) is to divide the small intestine into two segments of different sizes which are joined in a common channel. The digestive system is responsible for carrying food from the stomach to the common channel, while the biliopancreatic segment carries bile and pancreatic juice to the common channel. Thus the total digestion is carried out in the common channel, being shorter, patients get absorbed only 30% fat and 80% carbohydrate. This surgery is recommended for patients with Body Mass Index (BMI) greater than 40 and / or patients with obesity-related diseases. It is the technique that achieves greater weight reduction, more than 80% of excess weight. By removing the greater curvature of the stomach, production of ghrelin hormone that controls hunger is eliminated. Maintains the pylorus and therefore the natural functioning of the stomach. Enables and improves the quality of life of patients. 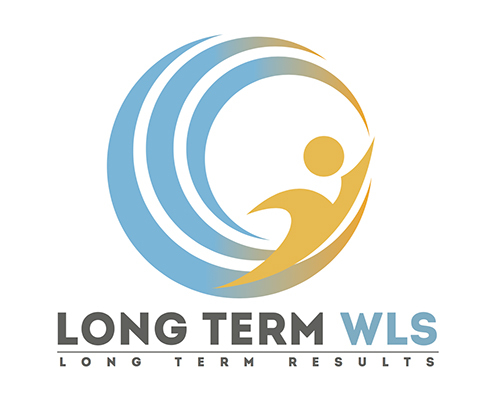 Please contact us to know more about this procedure, our experts will evaluate your case and provide you an answer according to your personals needs and characteristics.